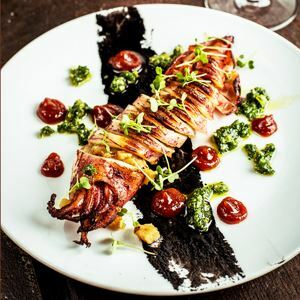 Located at Sydney's Overseas Passenger Terminal, with sweeping views from the Opera House to the Harbour Bridge, Quay Restaurant is found in what many consider to be Sydney's finest dining location. The restaurant's décor, service and extensive wine list are equally as exciting and unforgettable. 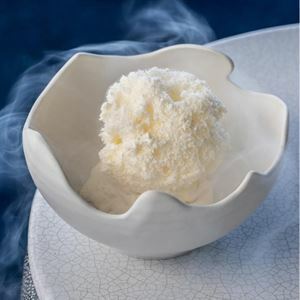 Celebrated head chef Peter Gilmore's imaginative menu is sensational, winning him numerous culinary accolades. The selection might include Congee of Northern Australian mud crab, fresh palm heart, egg yolk emulsion or Gently braised quail, morel cream, brioche porridge, hazelnut floss. Quintessential Fine Dining. The most amazing degustation menu. A wonderful nite to celebrate our wedding anniversary. Staff are fantastic. Went last years and had the a la carte, went back this year for the degustation. Absolutely beautiful as usual in the food department except for some unusual plates that when the knife ran down sounded like nails on a blackboard. (eek!) My husband had the Classic Wine Match and I had the Premier Wine Match. Unfortunately some of the wines weren't too dissimilar, which was a shame considering the price difference. Also there seemed to be an awful lot of under pouring (50mls or less for some courses) - not too happy about that. All said and done we had an enjoyable night and will return. Thanks very much to Matt, who absolutely made our night last year and made the effort to come over and say hello this year... My advice is to definitely go and just have the waiters up if they under pour!!! No words needed for this cuisine. C'est magnifique!!! A restaurant that Sydney can be truly proud of having. Having eaten in Paris' finest establishments, I can say that Peter Gilmore's restaurant is truly up there with the best. 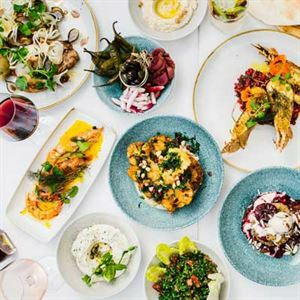 This is the restaurant that Sydneysiders should take any international guest as a shining example of Sydney and it's jewels. A real shame the waiting list is so long! what an amazing experience dining at Quay is. I have had the pelasure of dining at some of the worlds finest resturants. From old school places like Maxims in Paris to ground breaking Nobu in London to the fusion delights of Tetsuya in Sydney. I have to say that Peter Gilmour outdoes them all at Quay. Every mouth full of every course provides you with an experience that is impossible to explain. You simply must try it to appreciate it. Yes it is crazy expensive, even for Sydney but worth evey cent. It is such a shame that the staff obviously don't share the same enthusiasm for service as the kitchen does for the food. Sure they are efficient but not once did i see a smile. Nor do they anticpate your needs like the staff at the aformentioned restaurants. It was like we were not worthy of the food. Dining is about complete enjoyment. They seem to be caught up in the awards that brings about a 'to-good-for-you' attitude. Loosen up guys and be thankful you are privileged to work at Quay. You almost spoilt the night. And a message for the somellier: dont be offended when a customers chooses to slecet their own wine without your help or not take up the wine matching option. Some of us know what we are doing...and we spent more than the matching option anway. Dont let this service issue stop you. The food is worth it. What an expereince. I went here for a work lunch late last year. It is one of the best dining experiences in Sydney. The food is fantastic, the wine is well matched and the view is spectacular.